Pop quiz: What’s the easiest funding to raise during a Kickstarter launch? Believe it or not, from my own experience and that of my guest, it’s the funding you raise AFTER the campaign is over. Join Tyler James as he interviews Chandler Copenhaver of Crowdox to talk post campaign funding strategies. Backer upsell strategies that the biggest Kickstarter campaigns are using to raise an average of 12% more funding AFTER the campaign ends. A common mistake creators make with stretch goals and how to easily fix it. When it makes sense to invest in crowdfunding survey software… and when it doesn’t. Plus: A SPECIAL offer just for ComixLaunch Podcast listeners! 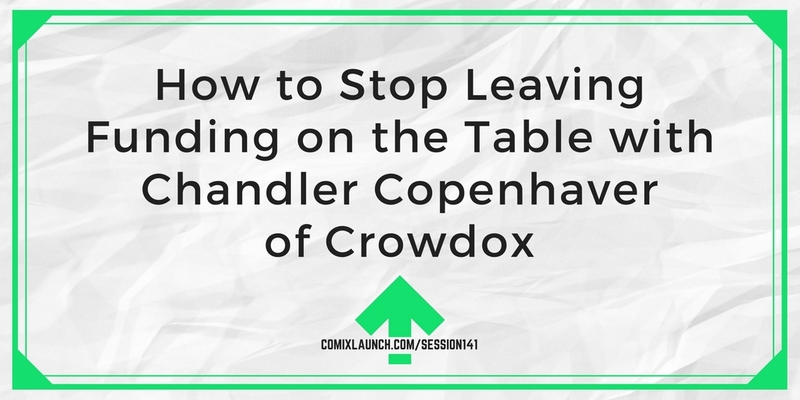 Chandler Copenhaver is director of business development at CrowdOx, a company that provides pledge manager software for crowdfunding campaigns.